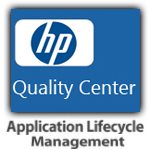 HP Quality Center Enterprise provides a comprehensive, unified, and extensible software quality platform. You can implement your complete quality management and establish consistent, repeatable processes for managing all aspects of software quality. This scalable, unified platform for automating the delivery of secure, reliable, quality applications enables you to implement a complete IT quality management infrastructure, establish consistent, repeatable processes and apply best practices for requirements management, test management, defect management and business components. configurable templates, a rich text editor that provides a word-processor-like experience, the ability to view requirements coverage at project or release level, trace relationships between requirements, process paths, defects and test coverage. Quality release and cycle management - enables quick development and testing cycles, and breaks large projects into meaningful phases. Test scheduling and execution - Control and schedule execution of manual and automated tests. View execution runs, results, and log defects with run details. Developer collaboration - supports working in common integrated development environments (IDE) for linking tasks, requirements, and defects. Defect management - identifies, manages, tracks, and enforces defect resolution across the application lifecycle. New version of Quality Center comes with an advanced test case runner called "HP Sprinter".